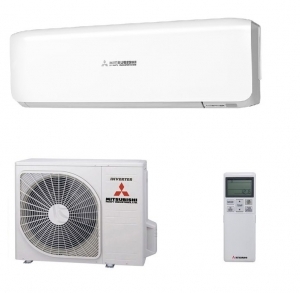 Air Heat Pump and aircon Unit - Mitsubishi SRK25ZS-S. These air heat pumps are excellent for heating small rooms, their inverter driven compressors mean they are far more economical for heating applications than gas heating for instance. You also have the option of putting them into cooling mode in the summer months.